The September 11 attacks transformed the first term of President George W. Bush and led to what he has called the Global War on Terrorism. The accuracy of describing it as a "war" and the political motivations and consequences are the topic of strenuous debate. The U.S. government increased military operations, economic measures and political pressure on groups it accused of being terrorists, as well as on governments and countries accused of sheltering them. October 2001 saw the first military action initiated by the US. Under this policy, the NATO invaded Afghanistan in order to remove the Taliban regime (which harbored al-Qaeda) and to capture al-Qaeda forces. Jeremy John Durham Ashdown, Baron Ashdown of Norton-sub-Hamdon,, known as Paddy Ashdown, was a British politician and diplomat who served as Leader of the Liberal Democrats from 1988 to 1999. He gained international recognition for his role in Bosnia–Herzegovina as its High Representative from 2002 to 2006, following his vigorous lobbying for military action against Yugoslavia in the 1990s. The High Representative for Bosnia and Herzegovina, together with the Office of the High Representative (OHR) in Bosnia and Herzegovina, were created in 1995 immediately after the signing of the Dayton Agreement which ended the 1992–95 Bosnian War. The purpose of the High Representative and the OHR is to oversee the civilian implementation of the Dayton agreement. They also serve to represent the countries involved in the implementation of the Dayton Agreement through the Peace Implementation Council (PIC). To the present, all of the High Representatives named have been from European Union countries, while their principal deputies have been from the United States. The Principal Deputy High Representative serves as International Supervisor for Brčko, representing the international community in the Brčko District. 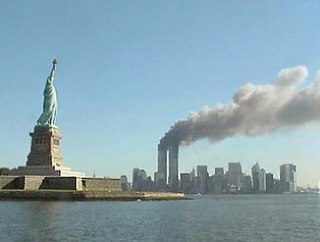 After all three attacks that took place on September 11, 2001, society as a whole suffered dramatically. New York known for it's attraction and the city that never sleeps experienced a horrendous tragedy that would never be forgotten. Recovery took years and the economy at that point of time declined drastically. Americans needed as much ministration and easement possible to cope with the brutal and fatal attacks that took place that day. Various first responders came together that day to unite and help as much as possible. Whether they were police officers, firefighters, doctors, nurses, or even random people the main objective was to cooperate and help the wounded. Due to all of the fatal deaths and personnel who suffered from PTSD or other health or related problems were funded through the September 11th Victim Compensation fund. This fund better known as VCF was purposely for those that experienced the disaster directly or those who lost family members from the attack. Recently the fund has started to reimburse those first responders who've risked their lives trying to save the victims who were badly mutilated. In addition those who later encounter health problems from the toxic air distributed throughout the air. 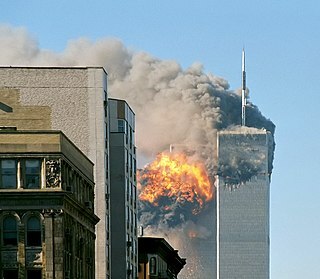 Most victims were exposed to smoke due to the burning towers and gas throughout the air. The evolution of security and protective services changed tremendously due to the outcome of the attacks. Starting with air travel, airport security and screening, and guidelines that must be obeyed before getting on board. Congress immediately responded after the terrorist attack by pushing out the Aviation and Transportation Security Act. As a result, with this act congress hoped to further avoid any other scenarios that pertained to the terrorist attack that happened on September 11th. Not only was this act regarding just air travel, it referred to all types of transportation. Additional screening was another main focus that took place during this time of leisure. Many passengers were prescreened and advanced screened at different security checkpoints. A major issue that was reoccurring was racial profiling and individual's privacy. Due to the fact of the terrorist attack, anyone who looked similar to or of the Arabic race was immediately dealt with and taken into custody for further screening. Luggage screening was another main objective. New machinery was introduced to get more into depth to scan people's luggage thoroughly and as well search for weapons or bombs. 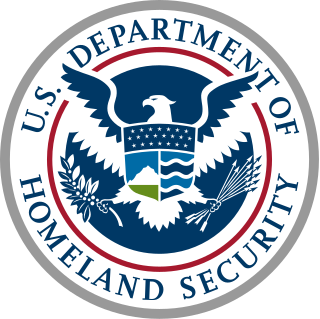 Moreover, pilots were funded by the Department of Homeland Security to carry a firearm on board. Better known as a Federal flight deck officer these pilots undergo training to prevent terrorism attacks or anything that involves harming others on board. Federal Flight Deck Officers (FFDOs) are Federal law enforcement officers commissioned by the Department of Homeland Security. 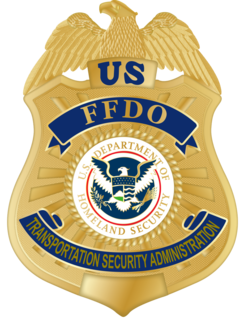 FFDOs act under the umbrella of Transportation Security Administration Office of Law Enforcement branch - the Federal Air Marshal Service. In United States law, a roving wiretap is a wiretap that follows the surveillance target. For instance, if a target attempts to defeat a regular wiretap by throwing away a phone and acquiring a new one, another surveillance order would usually need to be applied for to tap the new one. A "roving wiretap", once authorised, follows the target rather than a specific phone device, and would give the surveilling body permission to tap second and subsequent phones without applying for new surveillance orders. Following the September 11, 2001 attacks, George W. Bush's job approval rating soared to 86%. On September 20, 2001, the president spoke before the nation and a joint-session of Congress, regarding the events of that day, the intervening nine days of rescue and recovery efforts, and his intent in response to those events in going after the terrorists who orchestrated the attacks. In the speech, he characterized the speech itself as being akin to the President's customary State of the Union address. The attacks also had immediate and overwhelming effects upon the United States population. People began rallying around the popularized phrase, "United We Stand," in hopes of being resilient and keeping the American spirit alive in the face of a devastating attack. The majority of the US population rallied behind President Bush and the federal government in widespread support to the recovery and the expectant reaction to the attacks. Many people joined together to help the victims. Gratitude toward uniformed public-safety workers, and especially toward firefighters, was widely expressed in light of both the drama of the risks taken on the scene and the high death toll among the workers. Many people paid tribute to the police officers and fire fighters who died during the attacks by wearing NYPD and FDNY hats. The number of casualties among the emergency service personnel was unprecedented. The highly visible role played by Rudy Giuliani, the Mayor of New York City, won him high praise nationally and in New York City. He was named Person of the Year by Time magazine for 2001, and at times had a higher profile in the US than President George W. Bush. Two major public reactions to the attacks were a surge of public expressions of patriotism not seen since World War II, marked most often by displays of the American flag; and an unprecedented level of respect, sympathy, and admiration for New York City and New Yorkers as a group by Americans in other parts of the United States. Some criticized this particular reaction, noting that not everyone who died was from New York City (for example, some of the passengers on the planes), and that the Arlington, Virginia community also suffered in the attacks. At the Westminster Kennel Club Dog Show that took place in New York in February 2002, a tribute was paid to the search and rescue dogs who not only assisted in locating survivors and bodies from the rubble, but were also inside the World Trade Center buildings before they collapsed. In 2008, author Moustafa Bayoumi released the book How Does It Feel to Be a Problem? : Being Young and Arab in America. The author says mass arrests and deportations of Arabs and Arab Americans were conducted by the various government organizations, including the FBI, often with insufficient evidence to connect them to terrorism; that some were incarcerated indefinitely without notifying the detainee's relatives, as if they had just disappeared. Bayoumi maintains deportation of Arabs and Arab-Americans significantly increased following 9/11, often at short notice, saying in one case a man was deported without his clothes. Boston Marathon bombings. 3 killed and over 200 wounded. Mental disorders is referred as an behavioral or mental pattern that causes significant distress or impairment of personal functioning. Many children who were directly exposed to the terrorist attack or suffered by losing a parent or family member tend to be dealing with specific disorders. Whether its from depression, anxiety, or even health conditions these are all effects from the attack. Ideally no kid can cope with the fact their parent or family member was killed in the horrific incident therefore many children are sent to psychologist for further diagnostics and treatments. During the somber time period for Americans, the patriotism stayed strong. Following the road to recovery the federal government and state begin issuing grants and various funds to compensate and help those who suffered traumatically. First the 9/11 Heroes Stamp Program was administered by the Department of Homeland Security which basically gave funds to those who became disabled from direct contact in the attack or suffered a loss from the attack. In addition, the Post- 9/11 GI Bill became a result after 9/11, paying homage to the U.S military soldiers, which provided educational and financial assistance to those soldiers who were returning to civilian life. Lastly, the main objective was to advanced security everywhere to prevent other attacks from flourishing again. This required strict rules and regulations, followed by abundant amounts of dollars. Therefore, the federal grant aid assisted states, communities, and local organizations in their efforts to stay safe and remain readily prepared. In order for that to happen the program law enforcement training and technical assistance grant was created hoping to stop or better compose for a terrorist attack. Park51 (originally named Cordoba House) is a planned 13-story Muslim community center to be located two blocks from the World Trade Center site   in Lower Manhattan. The majority of the center will be open to the general public and its proponents have said the center will promote interfaith dialogue. It will contain a Muslim prayer space that has controversially   been referred to as the "Ground Zero mosque", though numerous commentators noted that it was neither a mosque nor at Ground Zero. The attacks had major worldwide political effects. Many other countries introduced tough anti-terrorism legislation and took action to cut off terrorist finances, including the freezing of bank accounts suspected of being used to fund terrorism. Law enforcement and intelligence agencies stepped up cooperation to arrest terrorist suspects and break up suspected terrorist cells around the world. The attack prompted numerous memorials and services all over the world with many countries, along with the United States, declaring a national day of mourning. In Berlin, 200,000 Germans marched to show their solidarity with America. The French newspaper of record, Le Monde , ran a front-page headline reading "Nous sommes tous Américains", or "We are all Americans". In London, the US national anthem was played at the Changing of the Guard at Buckingham Palace. (To mark the Queen's Golden Jubilee, New York City lit the Empire State Building in purple and gold, to say "thank you" for this action.) In the immediate aftermath, support for the United States' right to defend itself was expressed across the world, and by United Nations Security Council Resolution 1368. The Australian Prime Minister, John Howard, was in Washington D.C. at the time of the attacks and invoked the ANZUS military alliance as a pledge of Australian assistance to the U.S.
A Joint Terrorism Task Force (JTTF) is a partnership between various federal, state, and local law enforcement agencies, as well as the D.E.A Joint Task Force Enforcement and private organizations, that are charged with taking action against terrorism which includes the investigation of crimes such as wire fraud and identity theft. Criticism of the War on Terror addresses the morals, ethics, efficiency, economics, as well as other issues surrounding the War on Terror. It also touches upon criticism against the phrase itself, which was branded as a misnomer. The notion of a "war" against "terrorism" has proven highly contentious, with critics charging that participating governments exploited it to pursue long-standing policy/military objectives, reduce civil liberties, and infringe upon human rights. It is argued that the term war is not appropriate in this context, since there is no identifiable enemy and that it is unlikely international terrorism can be brought to an end by military means. 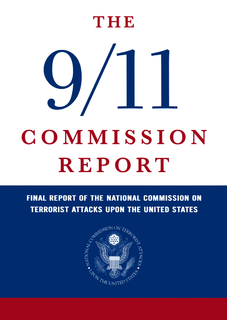 The 9/11 Commission Report, formally named Final Report of the National Commission on Terrorist Attacks Upon the United States, is the official report of the events leading up to the September 11, 2001 terrorist attacks. It was prepared by the National Commission on Terrorist Attacks Upon the United States at the request of United States president George W. Bush and Congress, and is available to the public for sale or free download. The 7 July 2005 London bombings were a series of suicide attacks carried out by homegrown terrorists on London's public transport network during the morning rush hour. Terrorism in China refers to the use or threatened use of violence to affect political or ideological change in the People's Republic of China. The definition of terrorism differs among scholars, between international and national bodies, and across time, and there is no legally binding definition internationally. In the cultural setting of China, the term is relatively new and ambiguous. Reactions to the September 11 attacks included condemnation from world leaders, other political and religious representatives and the international media, as well as numerous memorials and services all over the world. The attacks were widely condemned by the governments of the world, including those traditionally considered hostile to the United States, such as Cuba, Iran, Libya, and North Korea. However, in a few cases celebrations of the attacks were also reported, and some groups and individuals accused the United States in effect of bringing the attacks on itself. On May 20, 2009, US law enforcement arrested four men in connection with a fake plot concocted by an FBI informant to purportedly shoot down military airplanes flying out of an Air National Guard base in Newburgh, New York, and blow up two synagogues in the Riverdale community of the Bronx using weapons supplied by the FBI. The group was led by the Pakistani Shahed Hussain, a criminal who was working for the Federal Bureau of Investigation (FBI) to avoid deportation for DMV fraud. 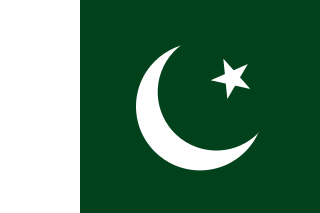 Shahed Hussain has never been charged in the USA with any terrorism related offenses and was paid nearly $100,000 US Dollars by the FBI for his work on this plot. Talat Hamdani is a Pakistan-born American who became a commentator after her son was killed during Al Qaeda's attacks on September 11, 2001. Her eldest son, Mohammad Salman Hamdani, was a New York Police Department cadet, who had trained as a first responder. Islamic terrorism in Europe has been carried out by the Islamic State (ISIS) or Al-Qaeda as well as Islamist lone wolves since the late 20th century. ↑ Coughlin, Con (2009-03-05). "If we win the war in Afghanistan, we could lose a battle in Pakistan". Telegraph. Archived from the original on 2010-08-12. Retrieved 2010-03-18. ↑ "Programmes | Andrew Marr Show | Afghanistan 'is a failed state'". BBC News. 2008-02-10. Retrieved 2010-03-18. ↑ "September 11th Victim Compensation Fund". ↑ Dineen, Marcia. "Aviation and TransportationSecurity Act of 2001". ↑ Benedetto, Richard and Patrick O'Driscoll (September 16, 2001). "Poll finds a united nation". USA Today. Archived from the original on 2011-08-20. Retrieved 2017-08-23. ↑ "Rudolph Giuliani Rudy the Rock". The Scotsman. UK. September 22, 2001. p. 14. ↑ Glynn, Simone A. "Effect of a National Disaster on Blood Supply and Safety: The September 11 Experience Archived December 1, 2010, at the Wayback Machine ." Journal of the American Medical Association , 289, 2246–2253. ↑ "Mark Stroman Executed: Texas Man Received Death Penalty For Killing Store Clerk". huffingtonpost.com. January 25, 2013. Archived from the original on January 25, 2013. Retrieved April 4, 2018. ↑ "Hate crime reports up in wake of terrorist attacks". CNN. September 17, 2001. Archived from the original on June 20, 2010. Retrieved 2011-07-21. ↑ "Many minority groups were victims of hate crimes after 9-11". Ball State University. October 9, 2003. Archived from the original on July 23, 2011. Retrieved 2011-07-21. ↑ "American Backlash: Terrorists Bring War Home in More Ways Than One" (PDF). SAALT. 2003. Archived from the original (PDF) on December 3, 2010. Retrieved 2011-07-21. ↑ Thayil, Jeet (October 12, 2001). "645 racial incidents reported in week after September 11". India Abroad. Archived from the original on 2011-08-26. Retrieved 2011-07-21. ↑ Jha, Sandhya Rani (2015). Pre-Post-Racial America: Spiritual Stories from the Front Lines. St. Louis: Chalice Press. p. 82. ISBN 9780827244931. ↑ Siemaszko, Corky; Marzulli, John (October 5, 2001). "Lone Slaying from Sept. 11 is a Mystery". New York Daily News . Archived from the original on 2016-09-16. Retrieved September 6, 2015. ↑ Wilson, Michael (September 9, 2011). "Killed on Sept. 11, 2001, but Destined to Be Mourned Only Quietly, Only by a Few". The New York Times . Archived from the original on 2015-07-25. Retrieved September 6, 2016. ↑ "How Does It Feel To Be A Problem by Moustafa Bayoumi". Alwan For The Arts. 2008-09-10. Archived from the original on July 25, 2011. Retrieved 2011-07-21. ↑ "Funeral held for soldier killed in Ark. attack". Seattle Times. June 8, 2009. Archived from the original on August 11, 2011. ↑ CNN, Nic Robertson. "CNN.com - Nic Robertson's diary: A week in Afghanistan - September 21, 2001". www.cnn.com. Archived from the original on 2016-12-29. Retrieved April 4, 2018. ↑ Taylor, Angeline (September 10, 2011). "Sarasota school teacher remembers when Bush visited her classroom on 9/11". ↑ Kernberg (2013). Diagnostic And Statistical Manuel of Mental Disorders. American Psychiatric Association. ↑ Nauert, Dr. Rick (2010-07-19). "9/11 Had Significant Impact on Young Children". psychcentral.com. Archived from the original on 2018-12-20. Retrieved 2018-12-19. ↑ King, Laura. "Their young world crumbled. Now the children of 9/11 look back". latimes.com. Archived from the original on 2018-12-20. Retrieved 2018-12-19. ↑ Gates, Anita (September 11, 2006). "Buildings Rise from Rubble while Health Crumbles". The New York Times. Archived from the original on 2011-09-06. Retrieved 2011-09-04. ↑ "What was Found in the Dust". New York Times. September 5, 2006. Archived from the original on 2011-09-06. Retrieved 2011-09-04. ↑ "New York: 9/11 toxins caused death". CNN. May 24, 2007. Archived from the original on June 18, 2007. Retrieved 2011-09-04. ↑ DePalma, Anthony (May 13, 2006). "Tracing Lung Ailments That Rose With 9/11 Dust". The New York Times. Archived from the original on 2011-05-13. Retrieved 2011-09-04. ↑ Heilprin, John (June 23, 2003). "White House edited EPA's 9/11 reports". Seattle Post-Intelligencer. Archived from the original on 2011-08-11. Retrieved 2011-09-04. ↑ "Updated Ground Zero Report Examines Failure of Government to Protect Citizens". Sierra Club. 2006. Archived from the original on June 11, 2010. Retrieved 2011-09-04. ↑ Smith, Stephen (April 28, 2008). "9/11 "Wall Of Heroes" To Include Sick Cops". CBS News. Archived from the original on 2011-09-15. Retrieved 2011-09-04. ↑ Shukman, David (September 1, 2011). "Toxic dust legacy of 9/11 plagues thousands of people". BBC News. Archived from the original on 2011-09-11. Retrieved September 11, 2011. ↑ Grady, Denise (April 7, 2010). "Lung Function of 9/11 Rescuers Fell, Study Finds". New York Times. Archived from the original on 2011-10-10. Retrieved 2011-09-04. ↑ DePalma, Anthony (October 18, 2006). "Many Ground Zero Workers Gain Chance at Lawsuits". The New York Times. Archived from the original on 2011-05-13. Retrieved 2011-09-04. ↑ Neumeister, Larry (February 2, 2006). "Judge Slams Ex-EPA Chief Over Sept. 11". San Francisco Chronicle. Associated Press. Archived from the original on May 24, 2008. Retrieved 2011-09-04. ↑ Smith, Ben (September 18, 2006). "Rudy's black cloud. WTC health risks may hurt Prez bid". Daily News (New York). Archived from the original on June 29, 2011. Retrieved 2011-09-04. 1 2 3 "Post 9/11 Federal Grants". 1 2 Makinen, Gail (September 27, 2002). "The Economic Effects of 9/1: A Retrospective Assessment" (PDF). 1 2 Joe Jackson and Bill Hutchinson. Plan for mosque near World Trade Center site moves ahead.NY Daily News.May 6, 2010[ archived 2010-05-10;Retrieved August 1, 2010]. ↑ Javier C. Hernandez. Vote Endorses Muslim Center Near Ground Zero.The New York Times.May 25, 2010[ archived 2010-06-05;Retrieved August 1, 2010]. ↑ Blog.Park51.org. Proposed Facilities for the Community Center at Park51 [ archived September 11, 2010;Retrieved September 13, 2010]. ↑ Reville, Alan (22 September 2011). "Murdered Ross Parker remembered 10 years on". Peterborough Evening Telegraph. Retrieved 27 December 2011. ↑ Morris, Steven (20 December 2002). "Three get life in jail for racist killing". The Guardian. London. Archived from the original on 2013-08-26. Retrieved 28 July 2011. ↑ Staff (20 December 2002). "Three Asians get life in jail for racial killing". Rediff.com. Archived from the original on 2011-08-29. Retrieved 29 July 2011. 1 2 3 Perry, Barbara; Levin, Brian; Iganski, Paul; Blazak, Randy; Lawrence, Frederick (2009). Hate Crimes, Volume 3. Westport, CT: Praeger Publishers. p. 86. ISBN 9780275995690. ↑ Thomas, Deborah; Phillips, Brenda; Lovekamp, William; Fothergill, Alice (2013). Social Vulnerability to Disasters, Second Edition. Boca Raton: CRC Press. p. 346. ISBN 9781466516380. Ten Years After 9/11 – 2011: Hearings before the Committee on Homeland Security and Governmental Affairs, United States Senate, One Hundred Twelfth Congress First Session - Washington, D.C.: U.S. G.P.O., 2012.